When a generator runs out of gas while it’s being used, it can drain the magnetic field from the generator coils. This can result in damage to the machine, and you’ll have to pay to have the coils repaired. To prevent this issue, ensure the gas tank is full at every maintenance check. Your generator’s oil and filters will need to be changed after so many operating hours, usually every 50 hours or so. You won’t want to be running out during a weather emergency to buy the right oil and filters for your unit, so make sure you have enough on hand to last you a few days in the event of a power failure. 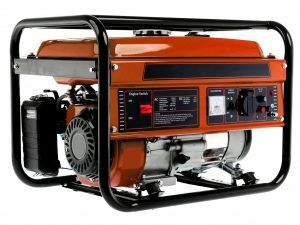 You should power up your generator at least once every three months to check on its operation. Manufacturers typically suggest letting it run for about 30 minutes to give it the time it needs to charge the electric starter’s battery. A battery failure is the last thing you’ll want to deal with during a power outage. Want to keep your generator in top condition? Reach out to NB Sales & Service, where our knowledgeable technicians can handle any of your generator maintenance needs in the Greater Bakersfield area. Contact us today to schedule your appointment.